A new report into how people with dementia in Pakistan are cared for has highlighted the need for greater awareness of the condition, more effective support services and greater cultural understanding. 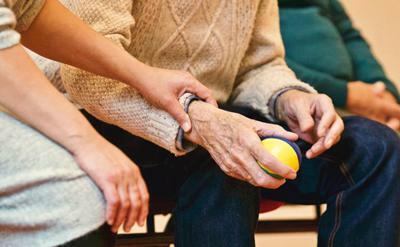 Led by the University of Southampton, a team of international researchers conducted a study to identify peoples’ beliefs and attitudes towards dementia and develop the best policies to help those living with the syndrome in the country. One of the most striking findings in the report is the lack of awareness of dementia and its symptoms. Respondents attributed the condition to a range of factors, such as doing too much, stress, shock, social isolation and in more extreme cases, black magic. These misconceptions led to misunderstandings about care and prognosis. Perhaps most concerning is a strong stigma associated with dementia. Many of the participants mentioned their loss of sense of time of day and how this impacts on their ability to know when to pray. Timing of daily prayers is very important in Islam and this symptom can be quite challenging for Muslim patients and their family caregivers. In addition, a loss of sense of orientation can make it difficult to lay prayer mats correctly. The religiosity in Pakistan’s culture places great emphasis on praying and closeness to God as one gets older. This means it can be difficult for people with dementia to meet these societal expectations. Some caregivers spoke of feeling isolated, with more women than men also expressing concern about how other duties had been affected, such as child caring, household tasks and their jobs. They also spoke of effects on their own health and feelings of frustration and guilt. Many different reasons were given for why people with dementia and caregivers didn’t access extra support, including cost, transport and external care not being as good as family care, but most people said they were unaware of any help or services available to them. Developing a national campaign in Pakistan to raise awareness of dementia, highlighting symptoms and their progression, and how to seek help. More funding for affordable, visible and accessible specialist dementia services, such as day care centres, dedicated hospital wards, staff and support groups. The authors recommend a focus on help in the home, as families in the Pakistan are more likely to accept home based care. Communication from religious leaders about dementia, both in terms of awareness raising and the acceptability to seek help. A greater emphasis on research and evidence informed policymaking, with knowledge transfer from research carried out in different regions of the world, taking into account cultural sensitivities. The report, Understanding, Beliefs and Treatment of Dementia in Pakistan: Interim Findings, will be launched at two events in Pakistan, in Lahore on 20 April and Karachi on 23 April 2018. The study interviewed a total of 40 dementia patients and caregivers in Karachi and Lahore. Focus group discussions involved a further 40 participants, equally divided between men and women. Eight people took part in key informant interviews.